I joined Chelwood dental practice as a trainee nurse in September 2016 and I am also studying for my NEBD national diploma in dental nursing. My favourite part about being a dental nurse is getting to know new patients and making them feel as welcome as possible. I joined Chelwood dental practice as a trainee nurse in September 2016 and I am also studying for my NEBD national diploma in dental nursing. My favourite part about being a dental nurse is getting to know new patients and making them feel as welcome as possible. 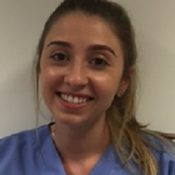 My name is Caroline and I joined the team as a Dental Therapist recently, having graduated from the University of Birmingham in 2014. I believe that dental therapists play a very important role in the overall dental health of all patients and this is something I am committed to encouraging patients to achieve. The most rewarding part of my job is seeing the improvement patients make when they respond to the treatment and advice given. I particularly like working with nervous patients and children and spend time improving their confidence. In my spare time I am always with my family and friends and I enjoy keeping fit, playing tennis, yoga and looking after my dog. 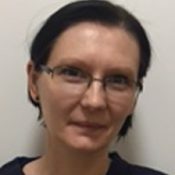 Cath gained a combined Diploma in Dental Hygiene and Therapy at Salford DCP School in 2016. Prior to this she worked as a Dental Nurse for 8 years. 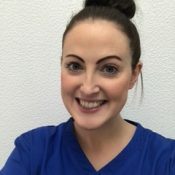 Cath can undertake treatment of periodontal disease and provide restorations for both adults and children and enjoys all aspects of her job, especially meeting new people everyday and tailoring advice to help them improve their oral health. In her spare time Cath loves to listen to live music. She also enjoys socialising with friends and family. Katherine graduated from the University of Sheffield in 2008. 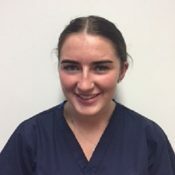 Since graduating she has spent 2 years in North Wales completing the Dental Foundation Training, which has given her experience in general dental practice, community dental and hospital settings. Following this she took a year out for a working holiday, which was predominately based in Australia but included travelling to many other countries. 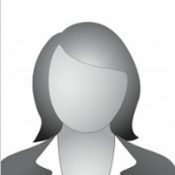 Katherine has a special interest in orthodontics and has transformed many of our patients’ smiles. She is accredited to provide Six Month Smiles, Fastbraces, Inman aligner and clear aligner systems. 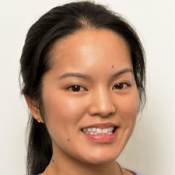 She also has a special interest in treating anxious patients and has completed the Postgraduate Certificate Dental Sedation and Pain Management at UCL Eastman Dental Institute and can offer sedation to patients to help them through their dental treatment.. In her spare time she enjoys spending time with her Boston Terrier, Albie, and cooking. Suresh is Chelwood’s Principal Dentist and took over the practice in April 2012. 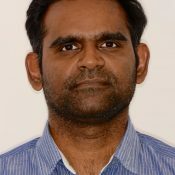 Suresh graduated from Tamil Nadu Dr MGR University, Chennai, India in 2000 and subsequently has spent over 11 years in Oral and Maxillofacial Surgery units in various hospitals across the country, gaining a vast experience in oral surgery, before returning to dental practice. He has a special interest in implant surgery and has completed a Multi-system Implantology Certificate course which has since given a new lease of life to many of our patients’ smiles, and is a Member of the Association of Dental Implantology. When he gets a chance, away from work, Suresh enjoys playing badminton and going to the cinema.